Situational awareness: Comcast has offered to buy the entertainment assets of 21st Century Fox for $35 per share in cash, which easily tops Fox's agreed-upon deal with Disney. Go deeper. A section of the West Antarctic Ice Sheet with mountains is viewed from a window of a NASA Operation IceBridge airplane. Photo: Mario Tama/Getty Images. 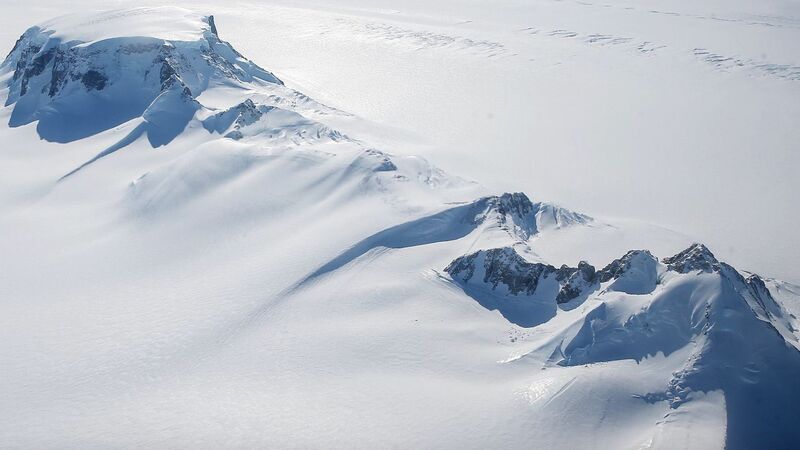 Antarctica is shedding ice at an increasing rate, raising global sea levels and threatening coastal cities, Axios science editor Andrew Freedman reports, citing a new study published in Nature. Why it matters: The safety of coastal populations, including growing megacities worldwide, is intricately tied to the fate of Antarctica's ice sheet. Until a few years ago, Antarctica was assumed to be far more stable than the Greenland ice sheet. The faster and more significantly that Antarctica melts due to global warming, the higher that seas will rise. This means more damaging storm surges and so-called "sunny day" flooding during ordinary high tides. By the numbers: The West Antarctic Ice Sheet saw its melt rate increase from 53 billion tonnes per year to 159 billion tonnes a year during the 1992 to 2017 period. Quote"The results from Antarctica are a clear sign that we woke up a sleeping giant... We do not want the giant to start walking." ⚽: A joint bid by the United States, Canada, and Mexico beat out Morocco to host the 2026 World Cup, becoming the first time that the soccer tournament will be hosted by three countries. Go deeper. West Wing intrigue: Several months ago, Trump ordered the promotion of Rudy Giuliani’s son. But instead of getting promoted, he has lost his West Wing pass. Go deeper. Trumpworld watch: The lawyers currently representing Michael Cohen are "not expected to represent him going forward," which makes him "likely to cooperate with federal prosecutors in New York, George Stephanopoulos scooped today and the NYT confirmed. Go deeper. Interest rate hike: The Federal Reserve increased interest rates by a quarter-point today. It expects unemployment to hit a 39-year low this year. Go deeper. The future: A Chinese e-commerce gargantuan has built a big new Shanghai fulfillment center that can organize, pack and ship 200,000 orders a day. It employs four people — all of whom service the robots. Go deeper. Heads up: Following an 18-month investigation, the Justice Department's inspector general will release a report tomorrow on the FBI's handling of the Hillary Clinton email investigation. Go deeper. "Some 25 CGI-glutted years later, physical special-effects techniques, also called practical effects, are making a comeback in, of all things, the latest 'Jurassic Park' installment," the WSJ's Darryn King reports. Why it matters: "When the stop-motion specialist Phil Tippett was working on 1993’s “Jurassic Park,” he saw a dinosaur created entirely through computer-generated imagery, technology that was in its infancy at the time." “Jurassic World: Fallen Kingdom" is out June 22.